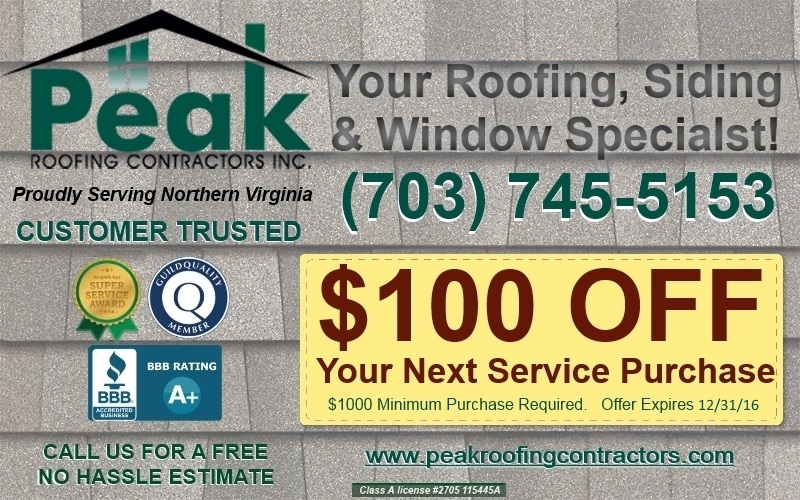 Special Offers | Peak Roofing Contractors Inc.
* Coupons & Special Offers must be presented before estimate is written. Coupons & Special Offers may not be combined with any other Coupons, Special Offers or Rebate programs. Coupons/Special Offers are not eligible for Peak Roofing Contractors projects involving insurance claims.